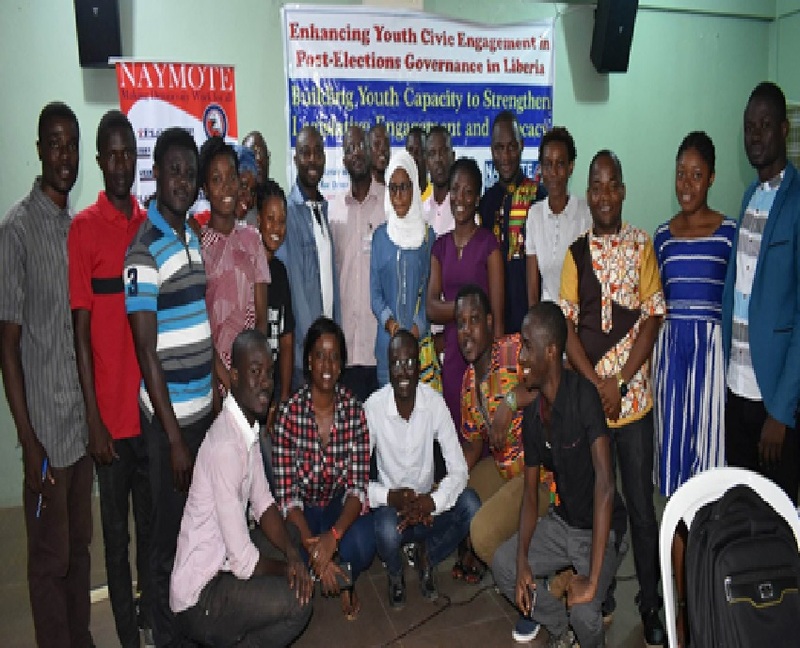 Naymote Partners for Democratic Development conducted a one-day youth capacity building training workshop to strengthen youth legislative engagement and advocacy. The training was held on Saturday, March 17, 2018, at the Monrovia Christian Fellowship Church, 9th Street, Sinkor. The training brought together cross-section of 40 participants from the Young Political Leadership School, representatives from the Mandela Washington Fellowship Program, the Young African Leaders Initiative Regional Leadership Center, Mandela Institute for Development Studies (MINDS), the Youth Initiative for Advocacy, Growth and Advancement (YIAGA) fellows based in Liberia as well as participants from various universities in Liberia. Mr. McCarthy Weh, Director of the Legislative Information Services at the Liberian Legislature, facilitated on the role and function of the House of Representatives Committees. Mr. Weh highlighted the legislative oversight functions and how is it planned and executed. He said there were 34 House committees with the power to inspect, examine, inquire into, and pass upon at least one report at each session on all matters within its jurisdiction and to hold such hearings and investigation, which the committee may find necessary. 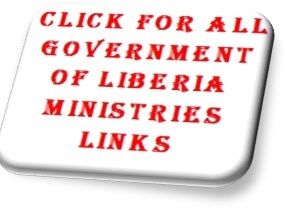 Mr. Weh said the Liberian Legislature, like other parliamentary bodies the world over, works principally through committees. The committees are considered the technical arms of the Legislature. 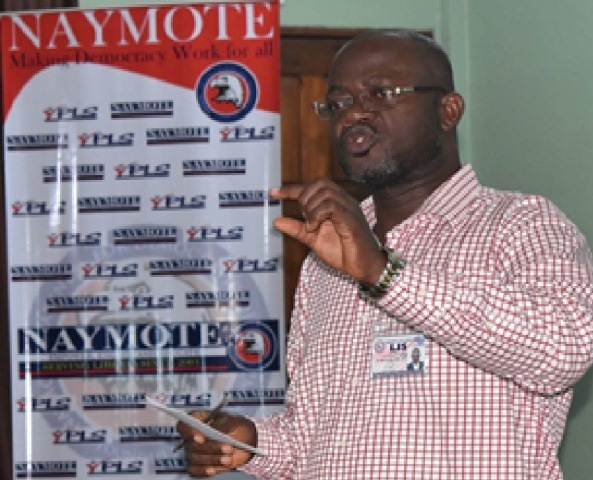 Director Weh, told participants that the initiative by NAYMOTE was welcoming as monitoring or tracking Legislative Committees’ Hearings is one of the most challenging exercises in covering the Legislature. He said given the key nature of Public Hearings under the Legislature’s Oversight function, the Legislative Modernization Plan of the Legislature captures public hearings as one of it priority, but it has however been difficult to effectively track public hearings. Director Weh however, said statistics available show that within the period 2006 to 2017, the Legislature acted upon 420 legislative instruments, including enactment of 128 laws; a total of 200 international instruments ratified; 94 Amendments and 3 Resolutions as recorded. “This is why we all have to concert effort as NAYMOTE doing and we are, at the LIS to vigorously monitor oversight/public hearings,” Weh said. At the end of his facilitation participants developed a monitoring tool that will assist participants and NAYMOTE monitor, track, and report on legislative committees’ hearings and workings of the House of Representatives over the next six years. 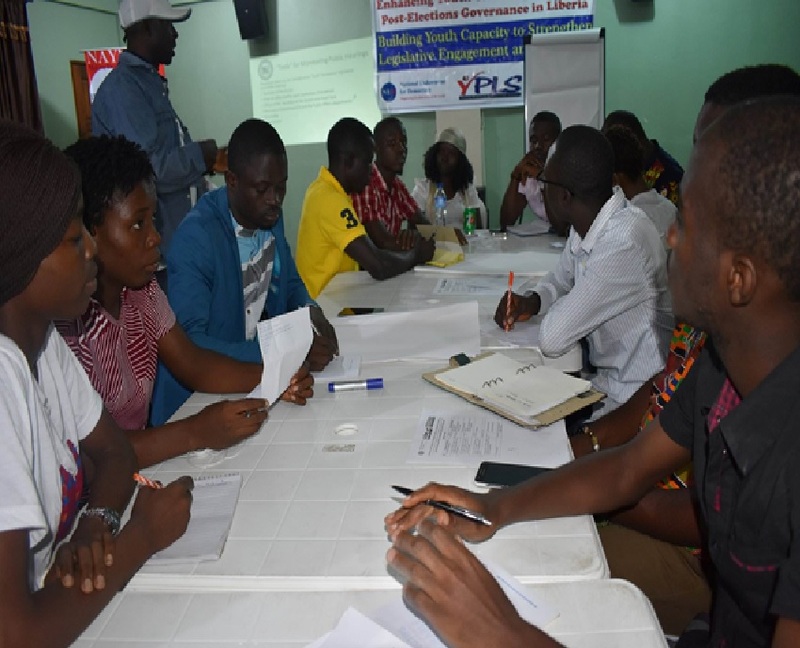 NAYMOTE’s Program Director, S. Aaron Weah-Weah, III presented to participants a summary of the institution’s regional lesson learned report gathered from the 2017 Elections and recommendations made by youth leaders across the country to enhance youth’s civic engagement in post-elections governance in Liberia. Speaking during the training, NAYMOTE’s Executive Director, Eddie Jarwolo, told participants that his institution is currently collecting empirical data as part of the project to understand citizens’ expectations and needs from 38 electoral districts/constituencies across the 15 counties. He said the information gathered will be linked to lawmakers’ campaign promises made during the 2017 elections. He said the institution will use the finding from the survey to develop programs that will foster better legislative/constituent engagements as well as ensure political accountability on campaign promises. 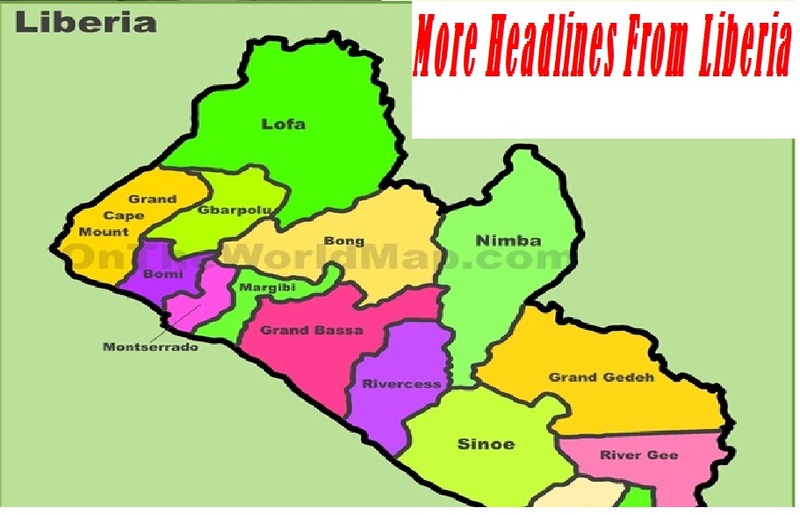 He said the institution has trained 10 enumerators to conduct 20 focus group discussions within 20 districts and 12 staffs to conduct survey using mobile phones across the 38 electoral districts. 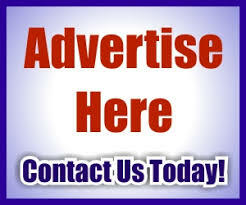 The survey is targeting 3,040 respondents. The information gathered will also be used to inform lawmakers’ legislative agenda over the next six years.